An “attempted engagement” of a U.S. surveillance plane by Russian fighters in the skies above eastern Europe has prompted leaders at U.S. European Command to reevaluate its air operations tactics in the region, according to Pentagon officials. 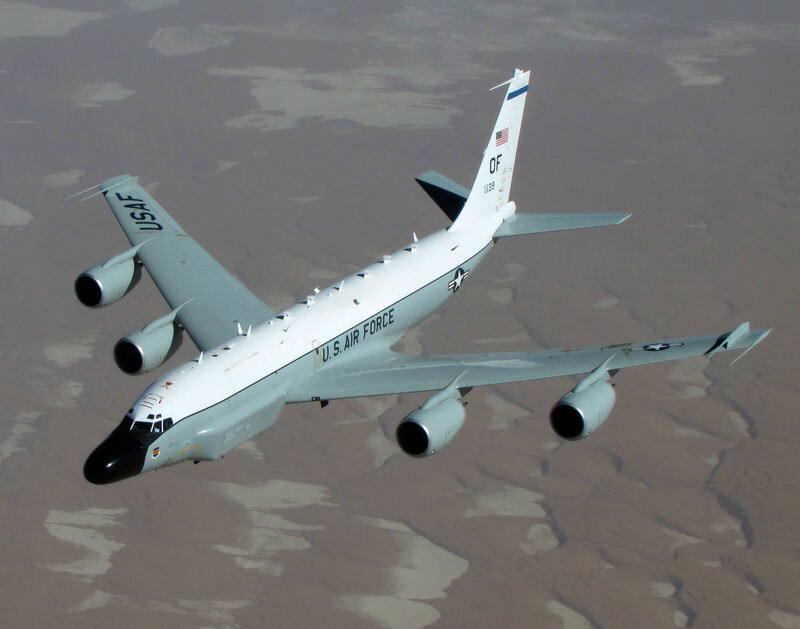 The incident occurred on July 18, while the Boeing RC-135V/W Rivet Joint was conducting a routine surveillance mission in international airspace on Russian targets in the Baltics, Pentagon spokesman Col. Steve Warren said Monday. During the course of the operation, U.S. ground units supporting the Rivet Joint notified the aircrew of approaching Russian fighters, Warren told reporters during the Monday Pentagon briefing. The Russian attack aircraft were reportedly moving toward the RC-135’s position in an, “attempted encounter” with the American surveillance aircraft, he said. After receiving the warning, the Rivet Joint was diverted into Swedish airspace in order to avoid engaging with the Russian fighters. Once the aircrew realized it had entered sovereign airspace, it quickly moved back into international air, Warren said. While the RC-135 crew and supporting ground units, “followed all proper procedures” during the entire incident, officials at European Command are investigating the details of the incident, Warren added. While declining to go into details of the command’s inquiry, he did say that EUCOM officials are “taking active steps” to figure out how to prevent other near misses between American, allied and Russian military forces in the future. That said, “there was nothing unusual about this encounter,” Warren told reporters on Monday. EUCOM commander Gen. Philip Breedlove warned in June that the growing frequency of Russian fighter jets and warships harassing American and allied forces in the region was causing concern within the command. While such incidents are simply part of doing business in the EUCOM theater, Russian shows of force have ramped up significantly since tensions boiled over in eastern Ukraine earlier this year. The timing of the RC-135 encounter comes days before Moscow is set to kick off a massive air warfare exercise, which will reportedly include over 100 Russian warplanes in the skies along the country’s western border with Ukraine. Since the outbreak of violence in eastern Ukraine, Russian fighters and warships have conducted several aggressive engagements against U.S. and allies in the region. In June, a Russian Sukhoi Su-24 Fencer made up to 12 near passes against the USS Donald Cook (DDG-75), flying as close as flew as close as 1,000 yards from the ship at times, while the destroyer was patrolling the Black Sea off the Ukrainian coastline. While the planes never engaged the guided missile destroyer, or the RC-135 last month, the saber rattling from Moscow is becoming exceedingly clear to American commanders in Europe. However, Warren dismissed any comparisons between the July 18 incident with the Rivet Joint and the low passes made on Donald Cook in June. The Rivet Joint and the Russian fighters never made visual contact and the U.S. aircraft was never in any danger of being shot down, he said. However, Warren did add that continued instances like this remain “highly provocative and escalate rather than de-escalate tensions” in Eastern Europe. Carlo Munoz is a defense and National Security reporter based in Washington D.C, specializing in amphibious operations, unmanned warfare, special operations, counterterrorism/counterinsurgency and intelligence issues at the services and DOD level.